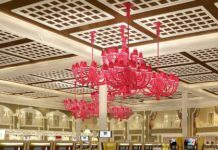 Home Casinos First Light Casino and Resort: The Mashpee Wampanoag tribe’s conquest. The Massachusetts Mashpee Wampanoag tribe says they have a solution for achieving sustainability and reversal of their people’s 48% unemployment rate and 49% school drop out rate. Their new First Light casino business is positioned to make them enough money to pay for these corrections. The tribe capitalized on its 12,000 year presence in Massachusetts by recapturing land and developing it for use by the casino. It’s a done deal says tribe’s own gaming commission. The tribe spent $20 million on construction designs and is ready to break ground on the building come April 2016. 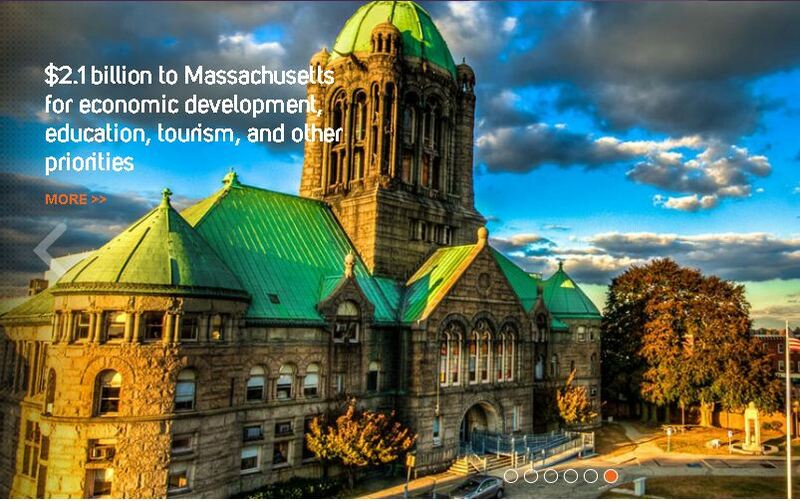 It has full funding to create the $1 billion First Light Casino and Resort. The tribe has created a destination for gaming, family recreation, entertainment and hotel stay. It is accented by beautiful Indian cultural impressions. The tribe projects their First Light casino will open to the public in Summer 2017, beating the Wynn Boston Harbor casino to market. Update ( August 16, 2016) – Unfortunately, the Mashpee Wampanoag First Light Casino and Hotel construction project has been halted. It was previously posted on this page that the tribe had won a land-trust verdict but the decision was overturned in July. Construction on the new casino-hotel complex stopped when a group of Taunton landowners sued the federal government saying it was wrong to designate the 150-acre casino site as a reservation. US District Judge William G Young ruled against the tribe when the Interior Department who granted the land-trust-decision lost the case. To date, there has been no appeal. The tribe has asked the court for permission to join the suit as defendant with the Int Dept and push for an appeal. The tribe is waiting for a decision. Living History ( March 15, 2016 ) – The Massachusetts Mashpee Wampanoag tribe has found a solution for achieving sustainability and reversal where 50% of 2,700 tribal members are out of work and 1/2 drop out of school. They created a for-profit casino business model. Branded FIRST LIGHT, the casino and hotel destination is positioned to make them enough money to pay for these corrections. They have their doubters. My casual read of 10K reports at the SEC found nearby casinos profiting by an average of 275-$480 per person visit on average. 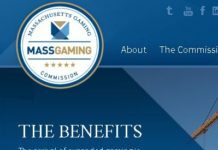 They will need 100s of thousands of players willing to spend cash to make their money back, Massachusetts is becoming a crowded casino market but the first one to open in Plainsridge was able to return to the state $75 million in fees from their first six months of operation. The tribe capitalized on its 12,000 year presence in Massachusetts by recapturing land and developing it for use by the casino. They owe money on that land to the City of Taunton which they hope to pay for from proceeds from operating the casino. One tribe critic writes on his blog that the tribe won’t see a dime until 2027, but the executive leadership will be paid well with salaries ranging from $485K – $2M a year and the rest of the people will obtain skill training and jobs ranging from $28K – $65K annually plus tips from casino business. There are current open position available. They are seeking a Full Time HR director at $75K per year, and many other paid staffing positions are open. It’s a done deal says tribe’s own gaming commission. Signing a note payable to a financier, the tribe spent $20 million on construction designs and is ready to break ground on the building come April 2016. It has committed to at risk full funding to create the $1 billion First Light casino. The tribe has architected a destination for gaming, family recreation, entertainment and hotel stay. It is accented by beautiful Indian cultural impressions. The tribe projects their First Light casino will open to the public in Summer 2017, beating the Wynn Boston Harbor casino to market. 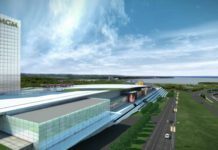 Next articleMGM National Harbor casino opened in 2016 near Washington DC to smashing reviews.